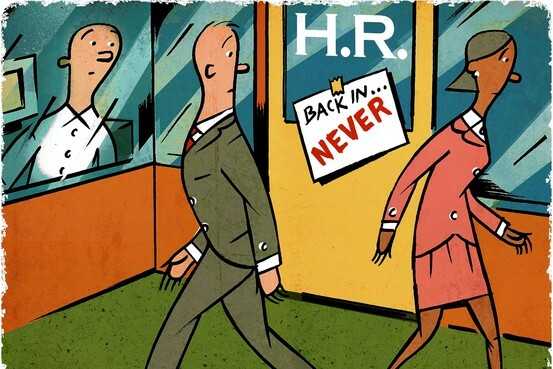 While HR is often perceived as a pain, it doesn’t have to be that way. Human Capital Management software, coupled in with the right people, allows your HR department to function like it should instead of continuing to carry a negative perception. Centralization of HR-related issues: Centralization of HR-related issues is a great way to make sure that every employee is always honing their skills in their areas of expertise. A decentralized HR structure (i.e. no HR department) may indeed foster autonomy throughout the company in some rare instances, but in most cases, it’s best to have a single department that focuses solely on HR- and HCM-related issues. Experience and knowledge: As WSJ notes, there comes a point where “managers often lack specialized knowledge that is crucial for keeping a company competitive and on the right side of the law.” While working without an HR department may work for very basic tasks, there’s no replacement for the knowledge and experience of a competent HR team. When your company has such a team, you can make sure that you’re staying on the right side of the law and operating as efficiently as you should be. Conflict resolution: Personnel issues can become very complicated as your organization grows larger. Having a department dedicated to solving such issues ensures reasonable resolution of conflicts that can arise between employees. Without an HR department, that responsibility falls upon other employees, and may fall outside of their areas of expertise–an easy way to end up in a bad situation. These benefits are truly only the beginning. Possessing a well-run Human Resources department–and even better, one that uses tools like SAP HCM to maximize efficiency and effectiveness–positions your business to succeed through the good times and the bad. The key here is to have a well-run HR department. Human Capital Management software helps, but as one commenter on the Wall Street Journal notes, “If HR is the enemy and a pain, you have the wrong people.” Your HR department should be a value generator, not a source of conflict. The benefits of Human Resources are many–and the next question is how to unlock all of those benefits. If you’d like to learn more about ICG’s SAP HCM solutions, or how we can help your entire business–HR included–let us know on Twitter or LinkedIn. We’d love to hear from you and would be more than happy to answer any questions you may have.